So you got a new BlackBerry handheld device and is now starting to explore the great BlackBerry Messenger (BBM). The problem is you don’t know of any friends who are as cool as you who happen to have a BlackBerry phone as well. So that renders your cool BB Pin and BBM useless. Here’s a good news. Why not start sharing your PIN to others? Put it in your Facebook profile. Sounds good right? 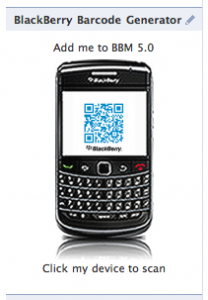 A new BlackBerry Facebook app just became available, allowing you to put your BBM QR Code to your Facebook profile so that other BBM users who happen to be in your Facebook network can scan it and add you to their BBM buddy list. It’s a pretty clever idea. Something that I would definitely want to try since I really haven’t maximized the use of my BBM since I got my BlackBerry phone. To try this one out, just head over to the bb_barcodegenerator app on Facebook. 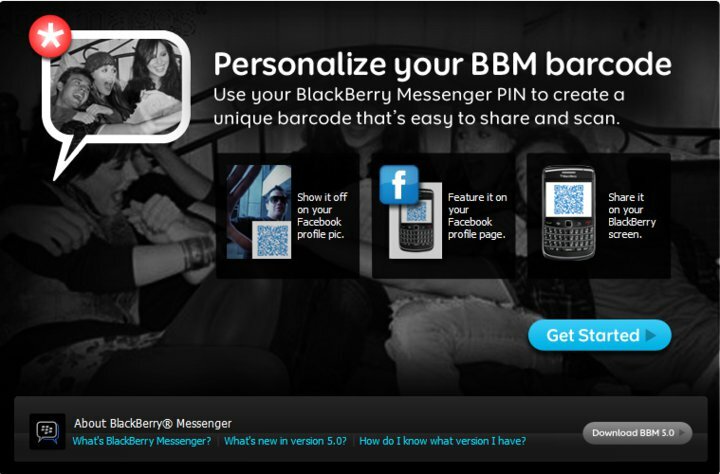 You will be asked for your BlackBerry PIN, choose a layout for your BB QR Code, then have the app generate it for you. From there you can opt to display the QR Code on your Facebook profile, either in the sidebar or overlaid onto your profile picture. Then wait till your friends and others within who can view your profile scan it and add you to their BBM list. Then you can start chatting away. The barcode generator works with BBM running on version 5.0. So if your phone’s BBM is still on an earlier version, now may be the right time to update. If Google is going social with Google Buzz, Facebook’s chat facility is going towards that feature too, in a more subtle way. The Official Facebook Blog just announced that Facebook chat now integrates with various popular IM clients, including AOL’s. What this simply means is that you can now stay connected with your Facebook friends through chat, even if you navigate away from Facebook.com. Â In fact, you don’t even have to stay logged in to Facebook just to chat with your Facebook buddies. Chat messages can now be sent to your desktop IM client. This new feature will also let you control how and where you chat with your friends. You can also select Â which of your online friends you would like to appear online by adjusting some settings on your Friend Lists. 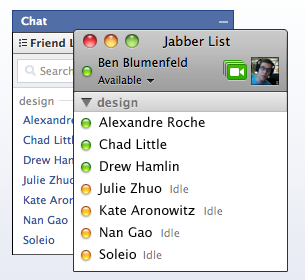 This new feature uses Jabber XMPP, which is actually an open messaging protocol supported by most IM platforms. Some of these IM clients include – iChat, Pidgin, Adium, Miranda and more. So, if you’re using any of those IM clients, you can now start chatting with your Facebook friends using any of the said IM facility. To connect Facebook chat with your existing IM clients, click on the “Connect your IM” link on this site tour, select your IM client and follow the instructions for setting up your account. Then, enjoy chatting with your Facebook friends while you surf the web, just like your ordinary desktop chat facility. Meebo has integrated MySpace and Facebook instant messaging access into Meebo.com. Driven by requests within Meeboâ€™s 40 million-plus user community, this makes Meebo the first web application that enables real-time access to the worldâ€™s most popular social networks and instant messaging services. 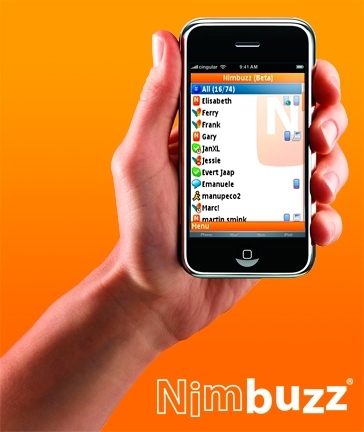 Nimbuzz has released its free iPhone application that lets users call, chat and message, for free, with their friends on virtually all major instant messaging communities and social networks. The appllication can be downloaded at the Apple iPhone App Store. Nimbuzz currently grows at over 10,000 new users per day and over 10 million logins per day.